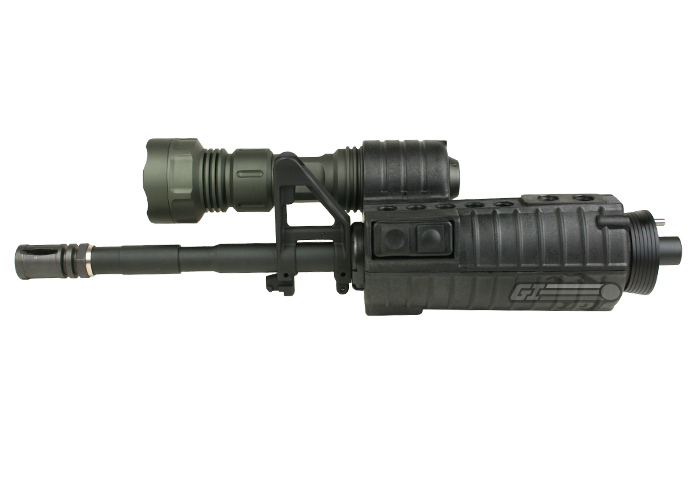 Give your M4 a unique special forces look with this G&P M4 Front Set with Flashlight Grip. 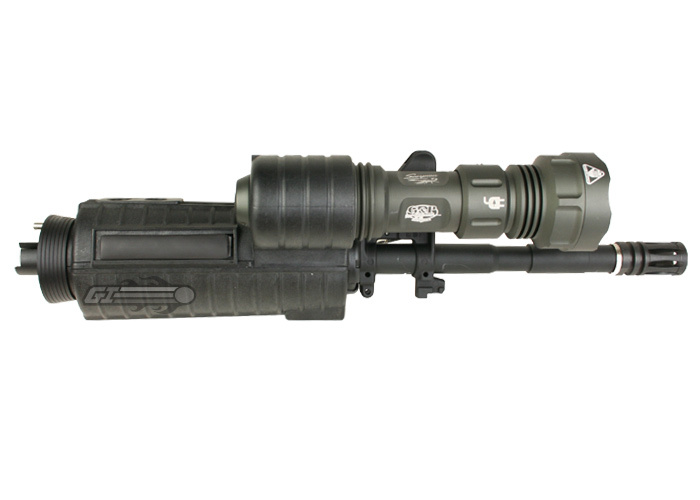 G&P has combined their famous Scorpion R500 Flashlight with the standard hand guards for an M4 to give you this unique looking front end. 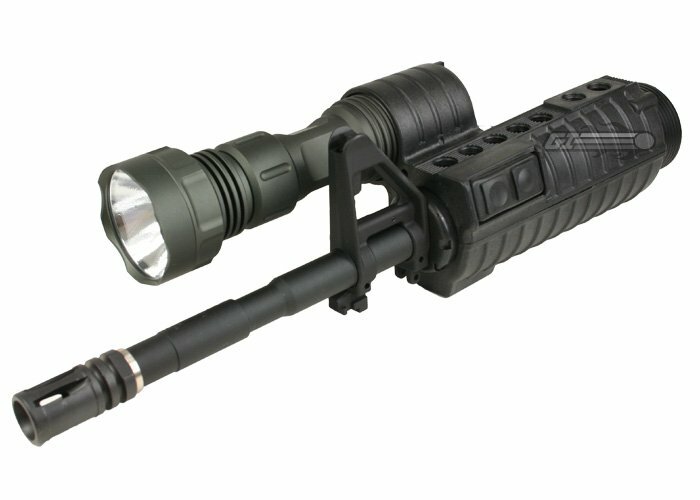 No longer do you need a rail system to mount cool flashlights to your M4, this kit will replace your entire front assembly, a very straight forward modification.